This post is around some code that I wrote to enable a specific, simple demo scenario where I would have 2 Windows 10 devices (including HoloLens devices) find and talk to each other on a local WiFi network with fairly low minimal infrastructure/setup. There are many other ways of achieving what I did here so this is just my own implementation of something fairly common to suit my scenario rather than some radical new invention and it’s far from production ready because it doesn’t deal with the suspend/resume cycle of UWP properly and attempt to do the right work to keep sockets running when the application is suspended (as per these docs). One of the really interesting/amazing things that you can do in a HoloLens application is to use the built in connectivity options of the device (including Bluetooth and more specifically WiFi) to connect multiple devices such that a number of users can share an experience across devices being used in the same space. The toolkit’s method for sharing holograms is to set up a network configuration with a PC acting as a server in order to distribute holographic data between participating HoloLens devices and keep them in sync. This is a great solution and one that you should look at if you’re interested in sharing holograms in this or a similar way. 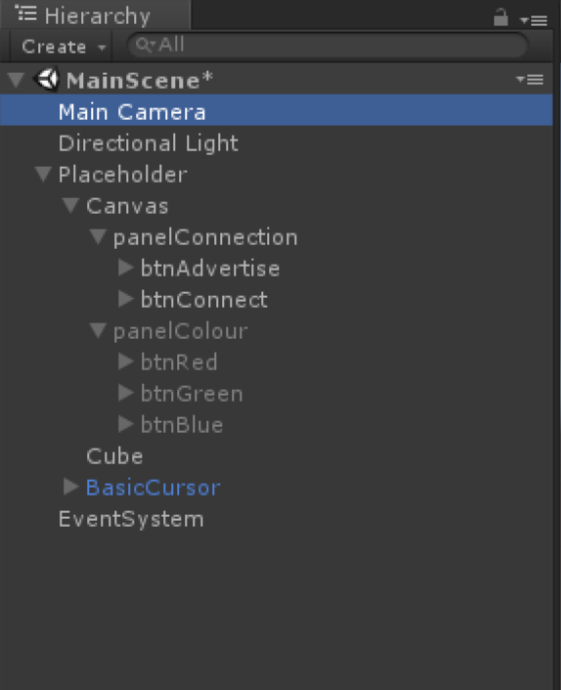 I wanted to make sure I understood the implementation by (essentially) writing small pieces of it myself from the ground up. I want to simplify the solution as I was only thinking about two-way comms. I had a simpler scenario in mind where I didn’t want to have to rely on a PC to act as a server and I only needed to connect 2 devices rather than many. I also didn’t want to have to enter host names, IP addresses or port numbers into some UI in order to get connectivity up and running. Towards that end, I built out a simple library that I plan to write a little about in the rest of this post and then I’ll follow up with a subsequent post where that library gets used in some kind of basic demo that shares holograms across devices. In order to do that, I first looked to the PeerFinder API in the Universal Windows Platform which I thought would provide the perfect solution in that those APIs are specifically about two devices running the same app on the same network discovering each other for further communication. 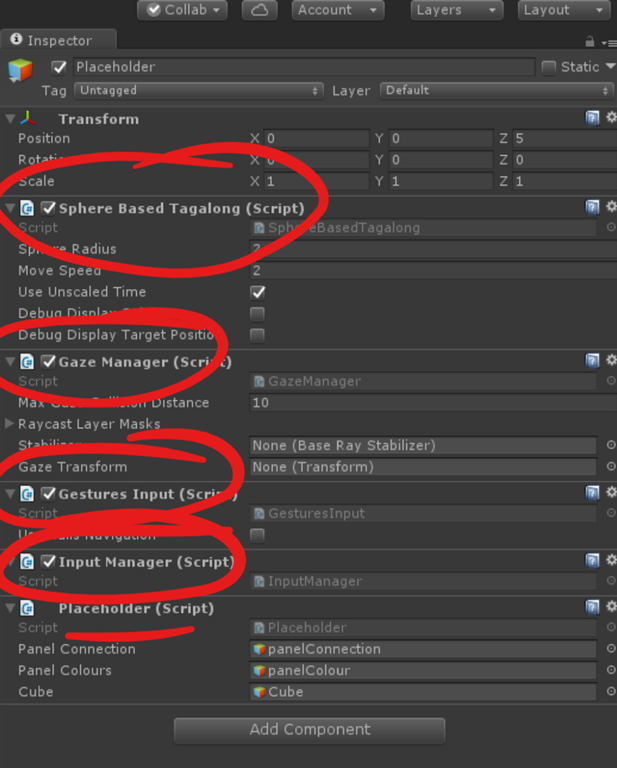 However, as I found in this blog post, those APIs don’t look like they function on HoloLens. I might have also looked at something like UWP App Services with Project Rome but that didn’t suit my scenario because that’s specifically about communicating between apps on devices that belong to the same user whereas I wanted to communicate between the same app but on (potentially) any user’s device. The user of a device selects whether they want to create/connect to a connection. This choice can be made before or after the companion device comes along. The creating device creates a TCP socket and advertises its details over Bluetooth LE (like a beacon). 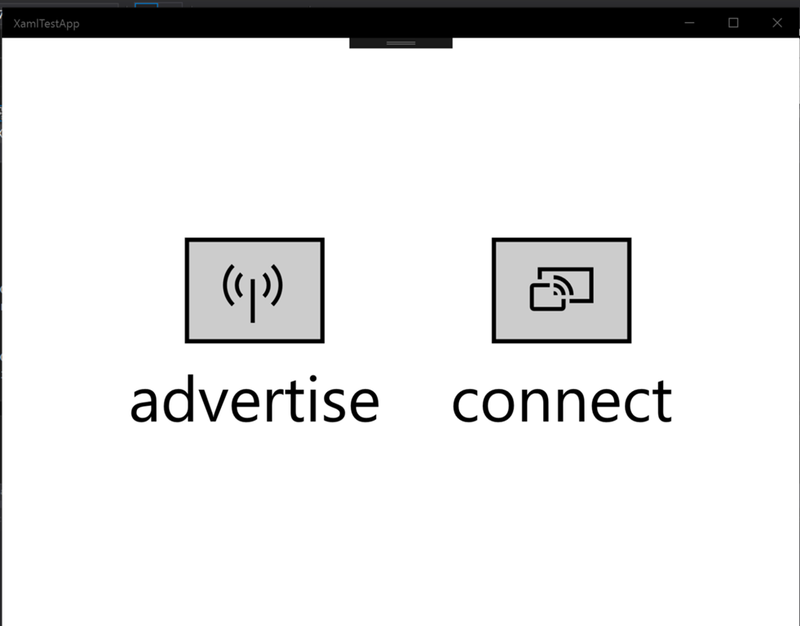 The connecting device looks for advertisements over Bluetooth LE. Once the devices find each other, they connect up the socket and stop advertising/listening over Bluetooth LE. As/when the socket drops, the process can be repeated from step 1 again. Rather than use Bluetooth LE to advertise a TCP socket, I could have used a UDP multicast group. Rather than use a TCP socket, I could have used UDP sockets but I felt that my comms were best suited to a connected, streamed socket between 2 parties here. The implementation that I spent an hour or two on sits on UWP APIs and I wanted to try and ensure that it would work on any UWP device including the HoloLens and also that I could make use of it from regular UWP code as I might write in a XAML based 2D UI but also from 3D Unity applications for HoloLens as my primary purpose here is to share holograms from one instance of my app on one device to another instance on another device. In writing this code, I made some choices around sticking with the coding pattern that I would usually use for UWP applications which ends up relying quite heavily on the async/await capabilities of C# that marry well with the async APIs that you see across the UWP although I debated quite a lot about whether I should go down this route because it isn’t perhaps the standard coding approach that you might take inside of the Unity environment. 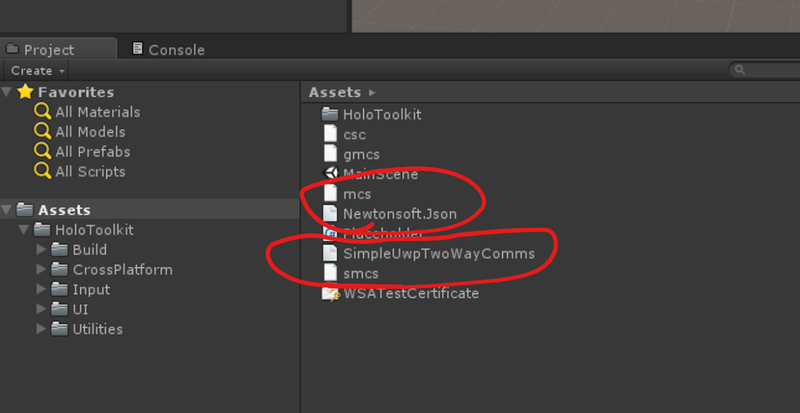 because the C# language in Unity is V4 and so async/await etc. aren’t available there and the version of .NET doesn’t have Task. The implication of having async methods that no caller ever awaits – as in the code above where the Start() method does not await the InternalStartAsync() method. The implication of the (possible) thread switching between the 2 comments marked ‘Thread before?’ and ‘Thread after?’. This is unlike a UWP XAML scenario where, by default, using await on a UI thread would cause the continuation of the async function to be dispatched back onto the UI thread because the framework sets up a SynchronizationContext to make that happen. 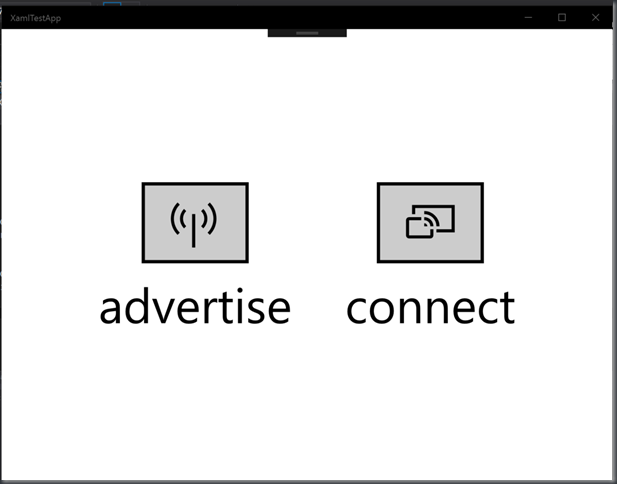 In order to function, the app is going to need the Bluetooth UWP capability and either/both of the ‘Private networks’ or ‘Internet Client/Server’ capabilities to be switched on. Note that it’s absolutely my intention here that the same process is on both ends of the wire so I don’t have to worry about the data types in question not being available for de-serialization, this library is really for an app to talk to another instance of itself on another machine. 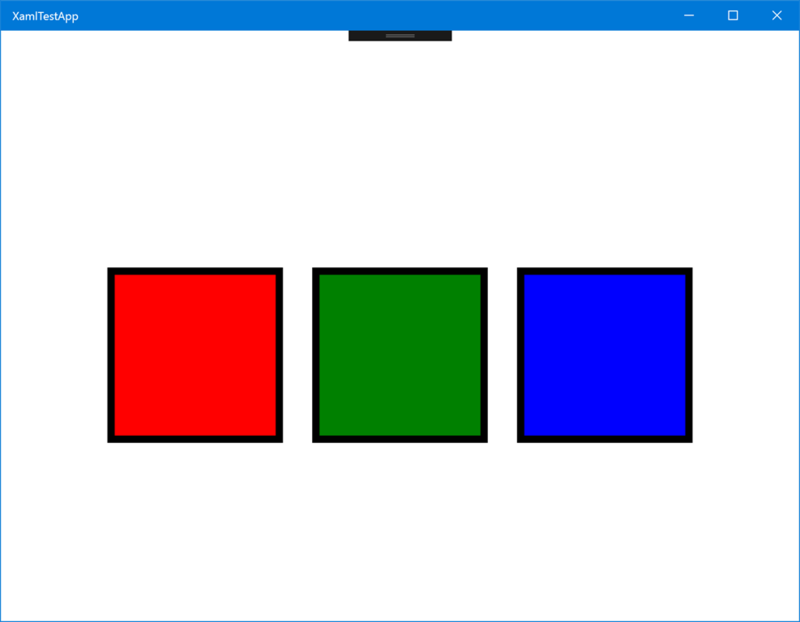 Note also that I really would have liked the BinaryFormatter because it doesn’t, as far as I remember, need up-front knowledge of the types that it’s dealing with but it doesn’t exist in the UWP. 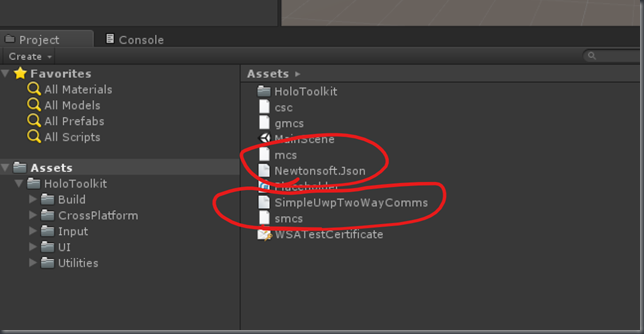 I glanced at one or two of the available serialization libraries out there and I also tried to work with the DataContractSerializer for a while but I don’t think that works on HoloLens right now and so I fell back to using JSON.NET (not that this is a bad thing ). // 'return' means in an async setting! and that’s pretty much the interface into my library. The source for this library is on github here . 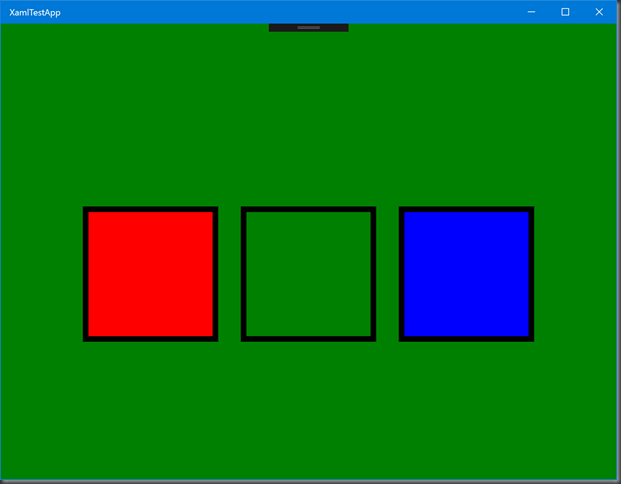 With this in place, how would this look and operate inside of a 2D UWP app? // We just handle byte arrays here. and I checked that project into the github repository as well and this 2D app works fine on HoloLens. That code can be compiled in two different ways (depending on the USE_OBJECTS symbol) so that it either sends byte arrays over the network or a small object serialized with JSON.NET. 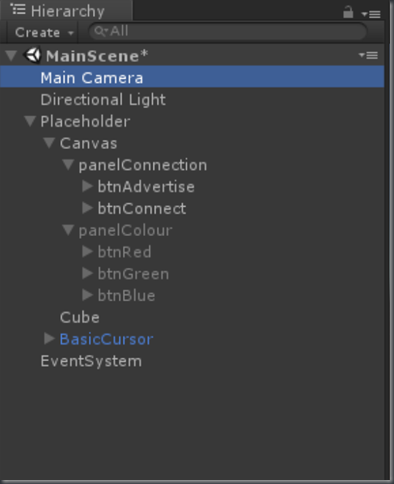 I made a blank 3D Unity project and set it up for HoloLens development pretty much as I do at the start of this video so as to configure the project and the scene for HoloLens development. A Basic Cursor (from the HoloToolkit – more or less as I do in the ‘Adding Gaze’ section of this post). One panel has advertise/connect buttons. One panel has red/green/blue buttons. A Cube that I can use to display colours. and I’ve committed that project to the github repository as well. In as far as it goes, this code all seems to work reasonably well and here’s a quick test video of me using it to communicate from the 2D XAML app on my phone to the 3D Unity app on my HoloLens but the 2D app would also work on HoloLens as it does on PC and (presumably) other devices that I haven’t yet tried.